He was the son of Earl Milton Weaver, a dry cleaner who cleaned the uniforms of the St. Louis Cardinals and Browns, and Ethel Genieve Wakefield. 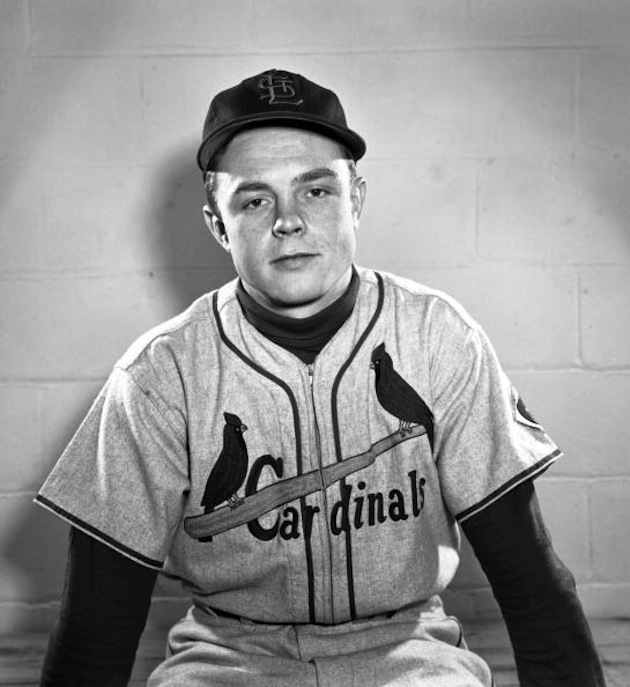 After playing for Beaumont High School in his hometown, St. Louis, Missouri, the 17-year-old Weaver was signed by the St. Louis Cardinals in 1948 as a second baseman. A slick fielder but never much of a hitter, he worked his way up to the Texas League Houston Buffaloes (two steps below the majors) in 1951, but never made the major league club. Weaver was later traded to the Pittsburgh Pirates organization, then moved on to the Orioles, where he began his managing career. Hall of Fame pitcher Jim Palmer, who battled with his manager on a regular basis, once noted: “The only thing that Earl knows about a curve ball is he couldn’t hit it.” After Palmer’s skills began to decline and he was no longer a regular starter, Weaver defended his actions by claiming he’d given Palmer “more chances than my ex-wife.” He has also directed such a remark at Mike Cuellar, ace of the 1969 staff, and several other players. Weaver started his minor league managerial career in 1956 with the unaffiliated Knoxville Smokies in the South Atlantic League. He joined the Orioles in 1957 as skipper of their Fitzgerald, Georgia club in the Georgia-Florida League. The Orioles moved him to their Dublin, Georgia franchise in 1958, and to their Aberdeen, South Dakota club in 1959. In 1960, Weaver managed the Fox Cities Foxes in Wisconsin in the Class B Three-I League. He moved up to with the AA Elmira Pioneers in 1962 and to the AAA Rochester Red Wings in 1966. As a minor league manager, he compiled a record of 841 wins and 697 defeats (.547) with three championships in 11½ seasons. He was promoted to the Orioles as their first-base coach in 1968, and spent a half-season in that role before becoming manager in July. 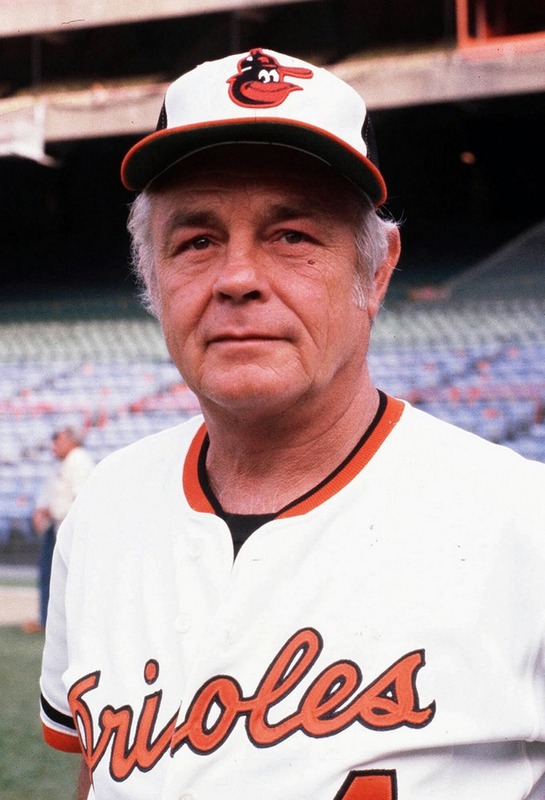 During his tenure as big-league manager, the Orioles won the American League pennant in 1969, 1970, 1971 and 1979. In 1969 the Orioles were defeated in the World Series in five games by the New York Mets team known as the Miracle Mets. In 1970 the Orioles won the World Series by defeating the Cincinnati Reds (The “Big Red Machine”) in five games. In 1971 the Orioles lost the World Series in seven games to the Pittsburgh Pirates. Pirates pitcher Steve Blass pitched a complete game and gave up four hits in the deciding seventh game, allowing the Orioles to score one run. In 1979 the Orioles again lost the World Series in seven games to the Pittsburgh Pirates. Pitchers Jim Bibby, Don Robinson, Grant Jackson, and Kent Tekulve held the Orioles to four hits and one run in the deciding seventh game. In 1982, Weaver announced he would retire at the end of the season, one which saw the Orioles wallow at the back of the pack for the first half of the year before climbing in the standings to just three games behind going into a season-ending four-game series against the division-leading Brewers at Memorial Stadium. The Orioles beat them handily in the first three games to pull into a first-place tie. The final game of the series, and the season, on October 3, would decide the AL East title. Televised nationally on ABC, the Orioles suffered a crushing 10-2 loss. After the game, the crowd called for Weaver to come out. This tribute to the retiring Weaver provided intense emotion against the backdrop of the season-ending defeat, as Weaver, in tears, stood on the field and applauded back to the fans, and shared words and an embrace with Brewers manager Harvey Kuenn. 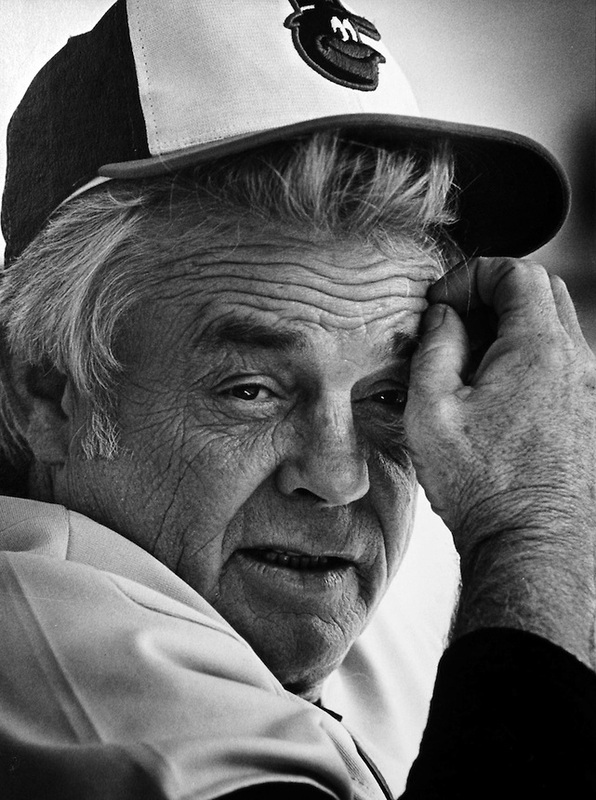 Owner Edward Bennett Williams coaxed Weaver out of retirement in 1985, but a losing season in 1986 prompted his permanent major league retirement. Weaver’s managerial record is 1,480–1,060 (.583), including 100+ win seasons in 1969 (109), 1970 (108), 1971 (101), 1979 (102), and 1980 (100). 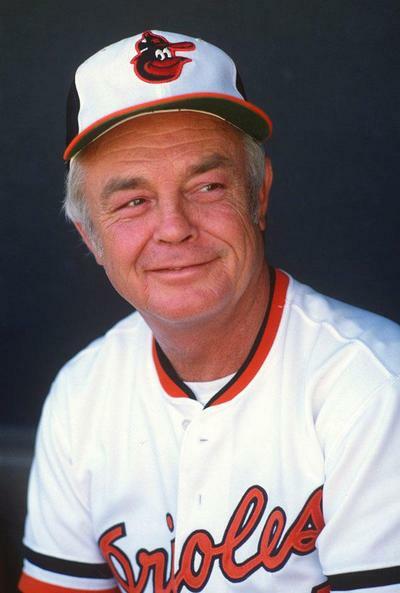 He only had one losing season in his managerial career, with the 1986 Orioles. In 1989, Weaver managed the Gold Coast Suns in the new Senior Professional Baseball Association. Less than a week into the season, Weaver was ejected from his first game. He later commented, “These umpires are high school rejects. The league went for the cheapest umpiring association. There should be no league if this continues.” The Suns failed to make the playoffs in the 1989–90 season and folded after one season. Between his stints as manager Weaver served as a color commentator for ABC television, calling the 1983 World Series (which the Orioles won) along with Al Michaels and Howard Cosell. Weaver was the #1 ABC analyst in 1983 (replacing Don Drysdale, who moved over to secondary play-by-play for ABC), but was also employed by the Baltimore Orioles as a consultant. At the time, ABC had a policy preventing an announcer who was employed by a team from working games involving that team. So whenever the Orioles were on the primary ABC game, Weaver worked the backup game. This policy forced Weaver to resign from the Orioles consulting position in October in order to be able to work the World Series for ABC. Weaver later called the 1984 National League Championship Series (between the San Diego Padres and Chicago Cubs) for ABC alongside fellow hall of famers Reggie Jackson, who played for Weaver in 1976, and Don Drysdale. Weaver died about 2 a.m. on January 19, 2013 of an apparent heart attack while on an Orioles’ fantasy cruise aboard the Celebrity Silhouette in the Caribbean Sea. According to the Silhouette ’​s itinerary, the ship had left Labadee, Haiti on January 18 and was expected to dock at Fort Lauderdale, Florida on January 20, 2013. 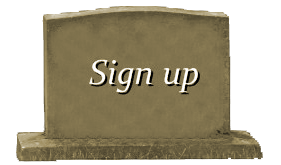 Weaver’s wife of 49 years, Marianna, was at his side when he died. He was 82 years old. 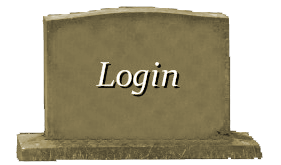 By coincidence, another Baseball Hall of Fame member, the St. Louis Cardinals’ Stan Musial, died later that day.